It’s that time of year — the time when holidays like Christmas, Hanukkah, and New Year’s call us to celebrate like no other time of year. It’s when families join hands, friends throw reunions, and companies host holiday parties both in and out of the office. Unfortunately, it’s also a time that seems to cause far too much stress, especially if you’re planning a menu. Thankfully, there’s an easy way to eliminate some of the chaos, at least when it comes to the booze. 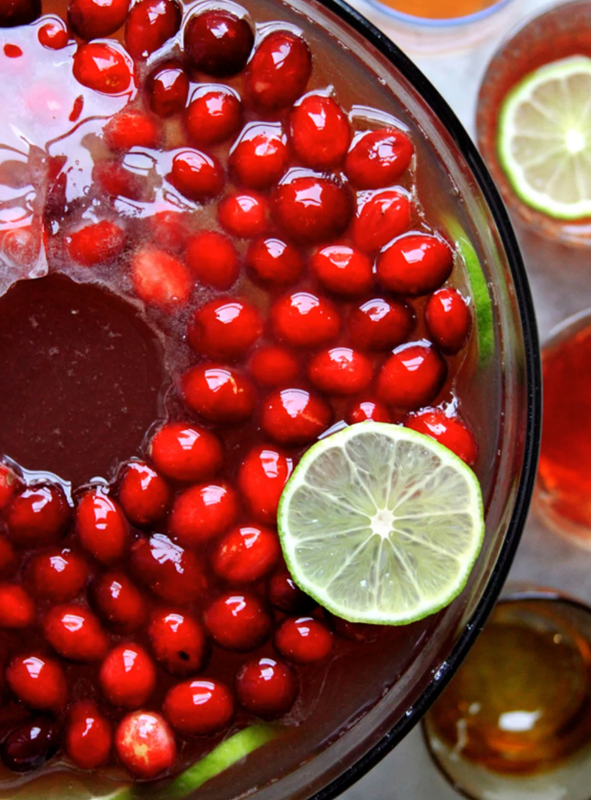 Below are three of our favorite easy and delicious punches for serving during the holidays. Unlike others that use sugary sodas and too much juice, each of these are elegant and refined. They’re also perfect for making ahead of a party, letting you actually enjoy the event instead of mixing cocktails all night long.